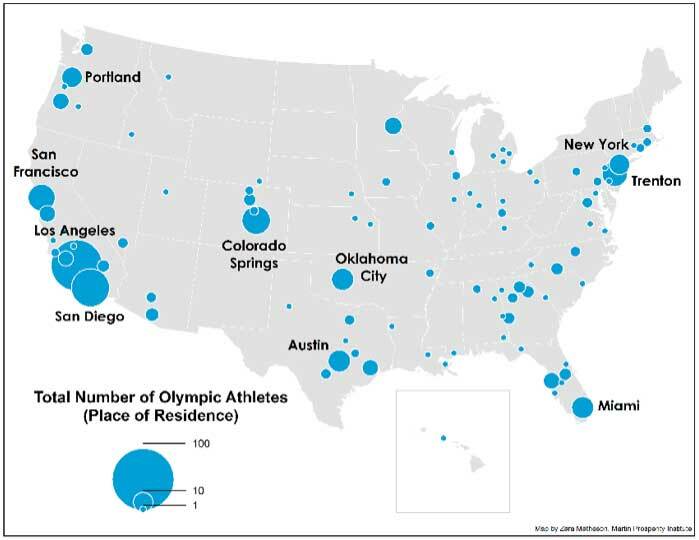 Top locations: Los Angeles, 68 Olympians – San Diego, 38 – Colorado Springs, 21. 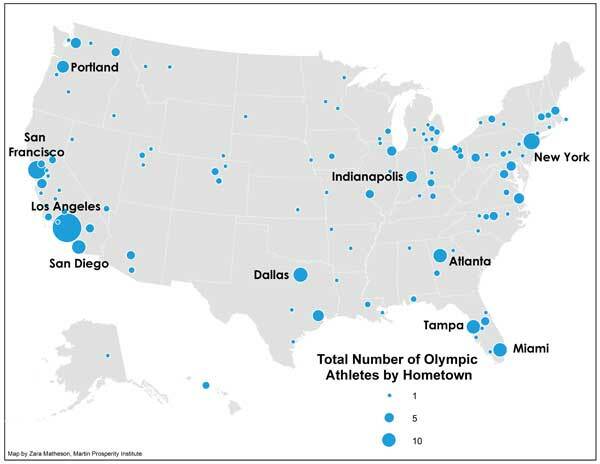 These athletes are clustered around Olympic training facilities in Chula Vista near San Diego and Colorado Springs. One thing that’s notable is the pronounced clustering of athletes in individual sports. L.A., for example, is home to six of 10 beach volleyball players, with two more from nearby Santa Barbara and Oxnard. Nearly half of America’s fencers (7 of 16) live in New York. More than three-quarters of female rowers – 16 out of 21 of them – live in a single city, Princeton, New Jersey.